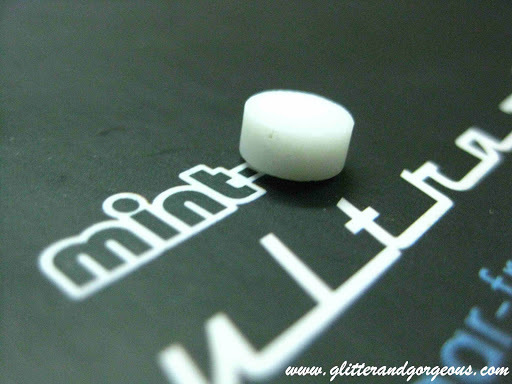 Mint-O Ultramintz - The Sugar-free Chill Pill - Glitter & Gorgeous!! Who doesn’t like Mint J I was super thrilled when I was offered to try the new ITC launch, the Mint-O Ultramintz. 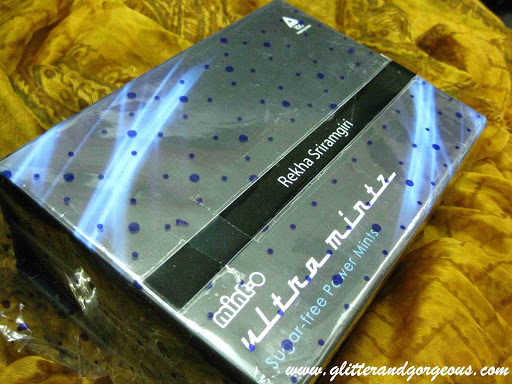 Frankly speaking, when I was told that I would receive my “specially packed box” in few days, I seriously didn’t have many expectations… I thought I will get some peppermint candies packed in a plastic box or may be few minty chewing gums packed in a glittery wrapper! Never in my wildest imagination had I thought this cute packaging in mind!! Man!! 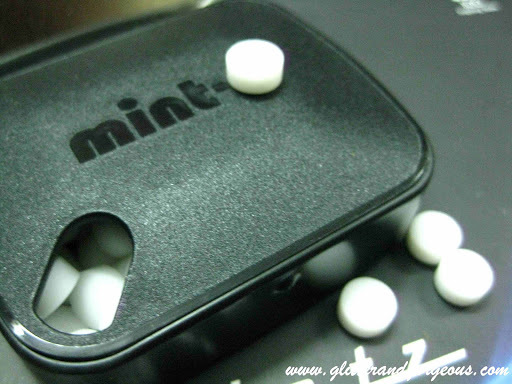 Just look at the packaging… the super cute tiny mint pellets packed in a black designer metal box… I so admire the thought the ITC team had put behind designing this mint box as a more travel, fashion & Eco friendly package! 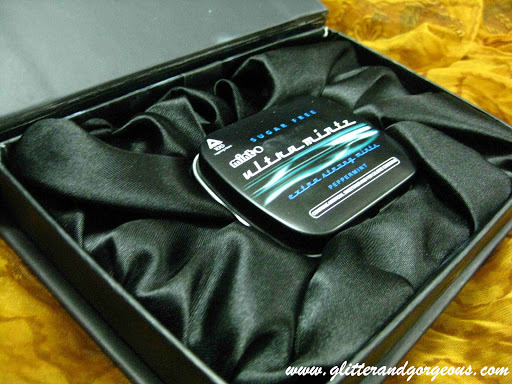 For the bloggers to try, they had sent us a personalized box with our name on it and inside the box was the Ultramintz resting on a black satin bed. Now I know what a “specially packed box” means. They really did make this experience special for us!! Let us see few natural benefits of peppermint, Peppermint oil is derived from the peppermint plant — a cross between water mint and spearmint — that thrives in Europe and North America. 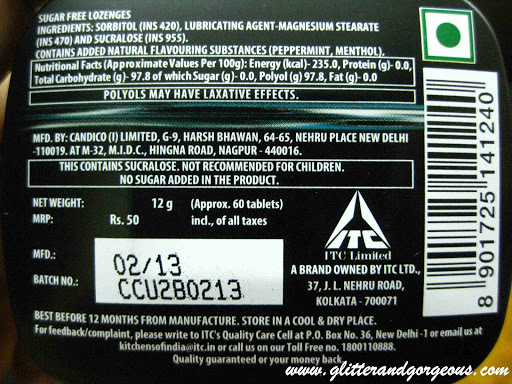 Peppermint aids digestion, acts as relief agent for Irritable bowel syndrome, helps in cold & flu remedy. 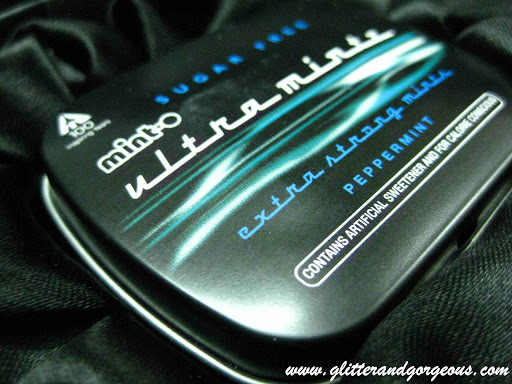 The Mint-O Ultramintz has 60 pellets in each box and each pellet is laced with peppermint oil, imported from France, and is made from the finest quality of menthol. Each box contains 60 pellets, retailed at Rs. 50 for a 12g product. These are definitely a premium luxurious treat! !